The top half of the arrow represents the forward reaction, where A and B makes C and D. The bottom half of the arrow represents the reverse reaction (sometimes called a backwards reaction), when C and D recombine to make A and B. One of these reactions (forward or reverse) will release energy to the surroundings (exothermic), and the other will take in energy (endothermic). Equilibrium is reached when the forward and reverse reactions, of a reversible reaction, occur at the same rate (the reaction must be in a closed system). When the forward and reverse rates balance, and are equal, it can appear as if the reaction isn't doing anything - and is finished. What actually is happening is that the reactants are being converted into products at the same rate the products are converted back into reactants. Dynamic equilibrium is when the forward and reverse reactions are still occurring, however, they are occurring at the different rate. 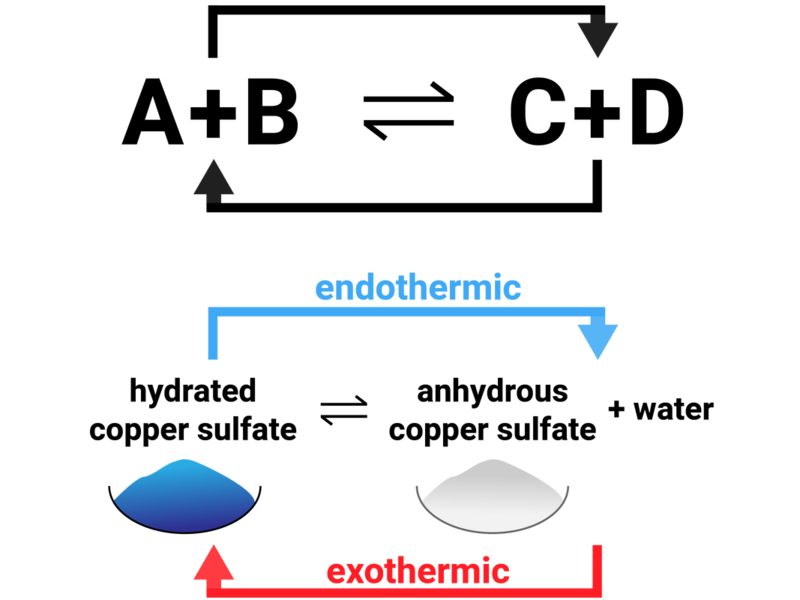 If a system is at equilibrium and a change is made to any of the conditions (temperature, concentration, pressure), then that system will respond to counteract the change. This is called Le Chatelier's Principle. 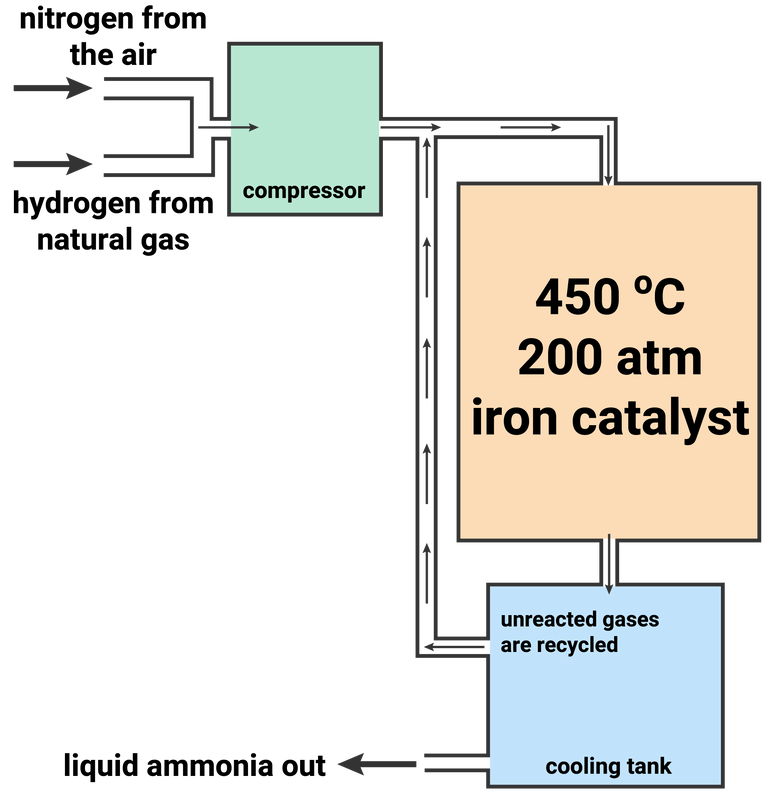 Changing the concentration, temperature and pressure of a reaction system can make a big change to where the equilibrium lies, and industry uses this principle regularly to increase the amount of product they make (for the best profits! ).